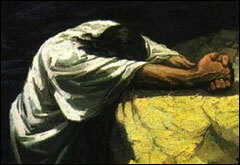 The Lord’s Prayer, or the Our Father, is probably one of the best known prayers of our Christian faith. It could also be the most recited prayers in the Christian faith. But we need to pause every now and then and make sure we are not just blindly reciting words with no intention. We must remind ourselves why this prayer is so important; what it means and why we say it so often. It is called the Lord’s Prayer because Jesus taught this prayer to his disciples. That is the origin of the prayer: Jesus! The prayer is found in two different places in the Bible. Luke (Luke 11:2-4) has one version of the prayer and Matthew (Matthew 6:9-13) has another. Jesus taught this prayer more than once and it was passed down orally for generations before it was written. We pray the Lord’s prayer at every Mass. It contains all of the essential elements of prayer. The first part of the prayer is a prayer of praise and thanksgiving. Through Jesus, we have been reconciled with God. When we pray to him, it is as beloved children. When we pray to him, we are talking to our dad. The next part of the prayer contains petitions and intercessions, in which we prayer for the needs of others. Although it might not seem like it, God has a purpose for our suffering and a plan to overcome it. God gives us everything we need. He feeds us with his Word and through the sacraments. He also cares for us by giving us work to provide for our immediate needs. Through Jesus, God gives us his mercy, grace, peace and love. He feeds us with the broken body of Jesus, who was crucified for us. As God forgives us, we must also forgives others. If God can show forgiveness, then we must also show forgiveness and mercy, even to those who we might feel don’t deserve it. We live in a world full of hostility We will face hard times and challenging days. But God will never forsake us. Through Jesus, he has shown us how to triumph over suffering. One of these petitions asks God for forgiveness, then the final two petitions are prayers of deliverance.